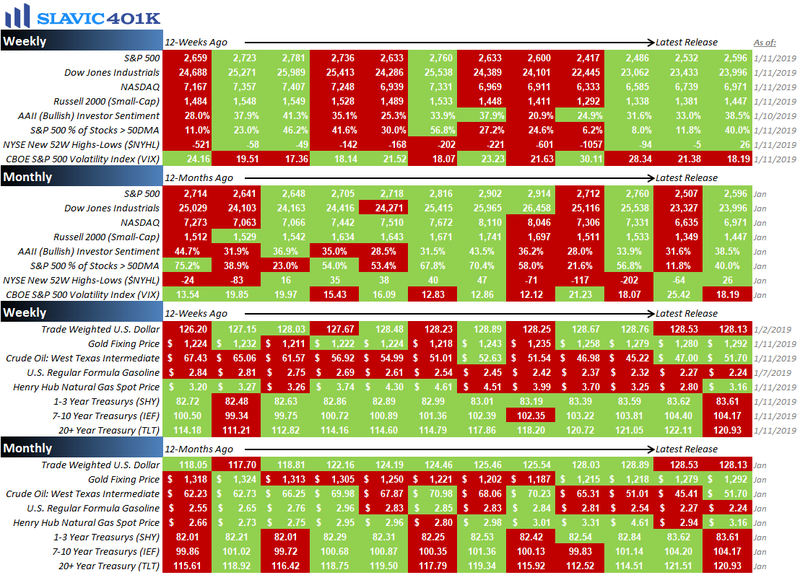 Stocks continued higher last week, as the S&P 500 rose by 2.54 percent to 2,596.26. 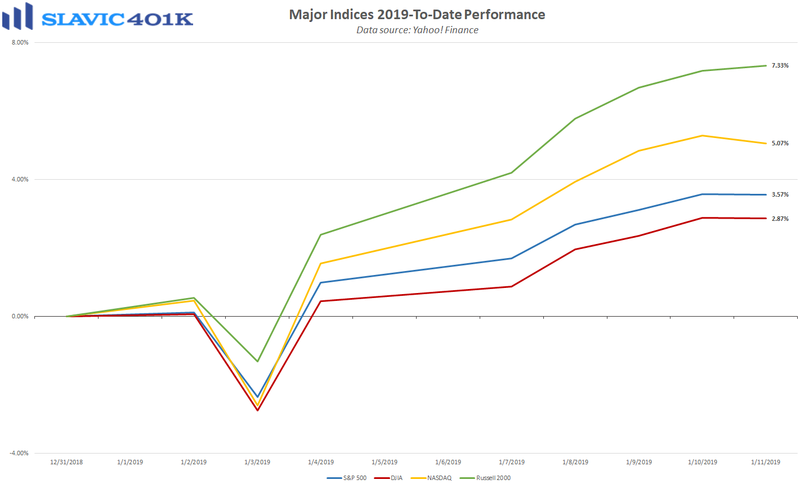 That left the benchmark index up 3.57 percent 2019-to-date, and 11.41 percent below the all-time high hit last September. 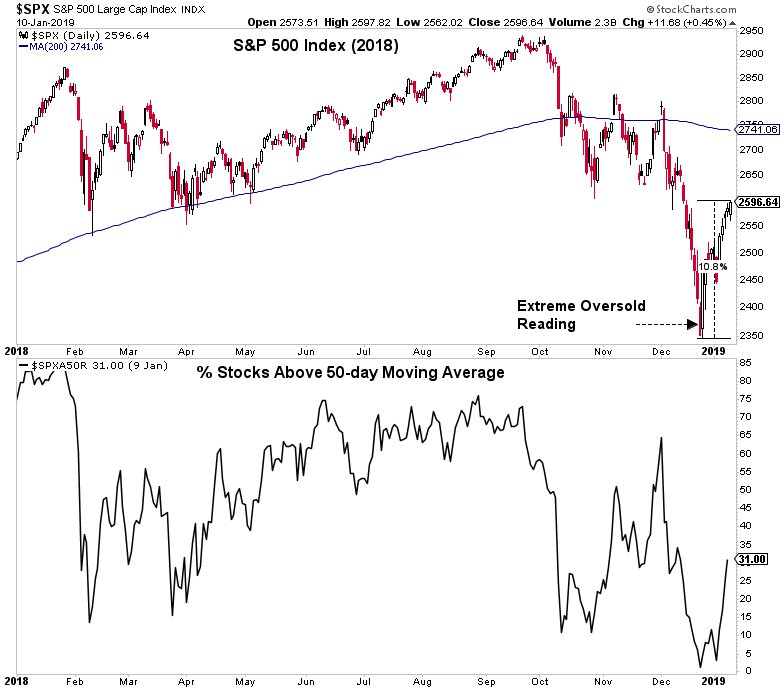 A sharp rebound in equities is not too surprising given how extreme the December selloff was, but in some ways the latest bounce in the market is even stronger than many traders anticipated. 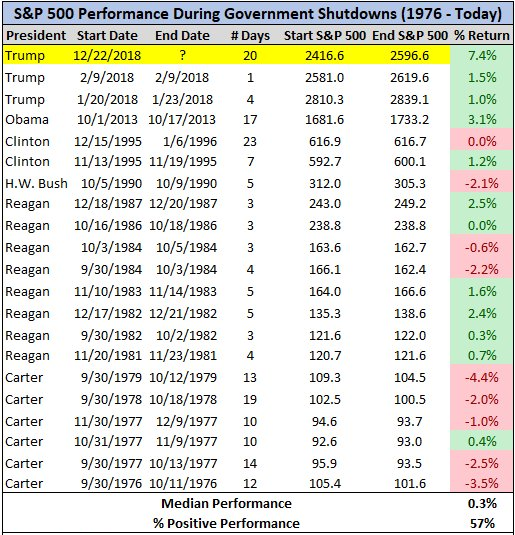 For example, the S&P 500 as of Friday’s close is up 7.43 percent since the government partially shut down on December 22nd, therefore making it the best performance for stocks during a shutdown on record. One reason for this could be that incoming economic reports have so far showed little evidence of a meaningful negative impact from the shutdown. Further, many investors are likely optimistic that an agreement will be reached well before March when the debt ceiling could become a more substantial obstacle than the border wall. 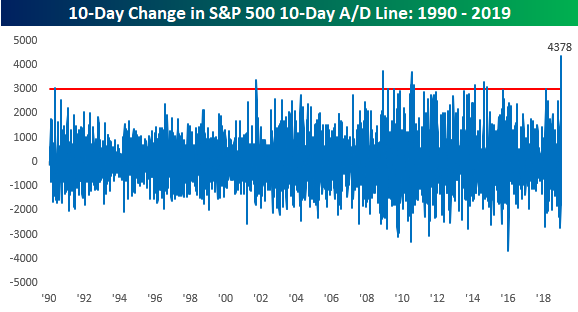 The Federal Reserve’s apparent dovish shift has also helped buoy equity valuations recently. Last week’s release of the minutes from the December FOMC meeting, for instance, reiterated that monetary policymakers will take a patient, data-driven approach to raising the federal funds rate this year. As for exactly when the next quarter-point increase will occur, around six in ten economists surveyed this month by The Wall Street Journal said that they expect Fed officials will hold off on any additional rate hikes until June at the earliest. There was even a small but non-trivial group of respondents who said that the Fed could actually lower rates sometime in the near-future. 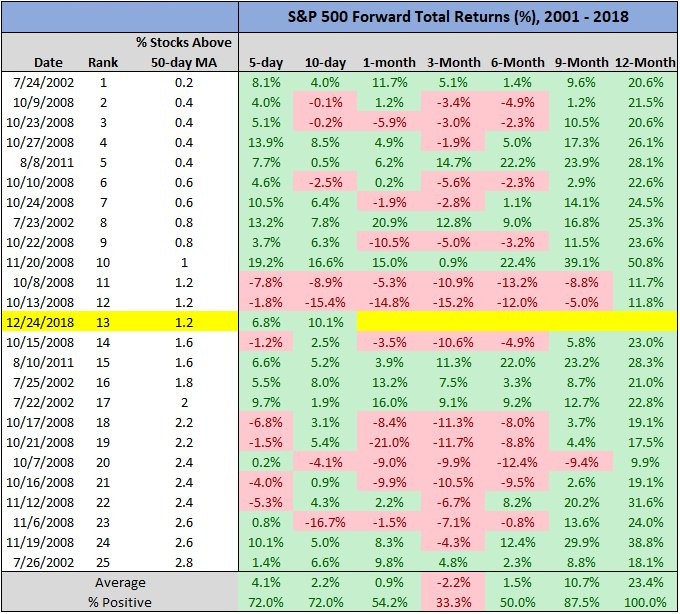 At first that might sound like good news for stocks, but recessions often occur soon after the Fed starts cutting rates following a tightening cycle. 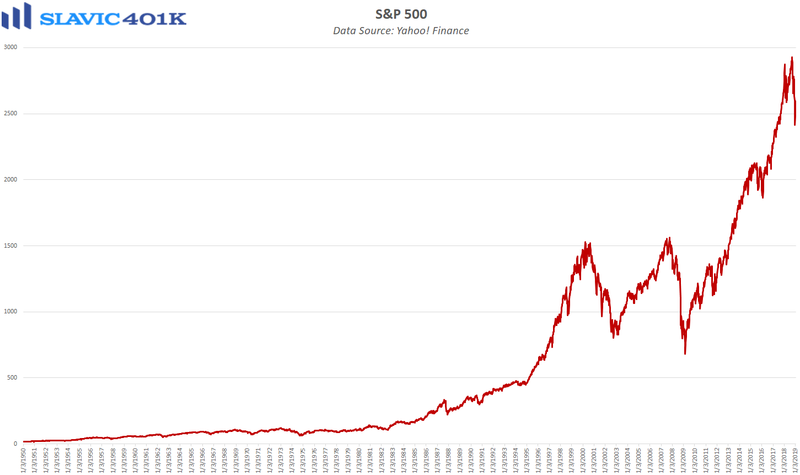 More importantly, with much uncertainty still surrounding monetary policy, corporate earnings, the trade negotiations with China, and a handful of other issues, there remains a lot of potential headline risk for the stock market to overcome. Any retail investors unsure how to navigate this possibly volatile environment should consider consulting with a professional financial advisor and as always, we are here to help with any questions you may have. To recap a few of the things we learned about the economy last week, the positives included that the 30-year mortgage rate fell to a 9-month low, home purchase applications surged, initial jobless claims decreased, household inflation pressures stabilized, and consumer credit utilization continued to expand (an encouraging near-term sentiment indicator but a potential long-term headwind). As for the negatives, services sector activity softened, small business owner optimism cooled, the total number of job openings in America declined, and workers’ confidence in the labor market moderated. 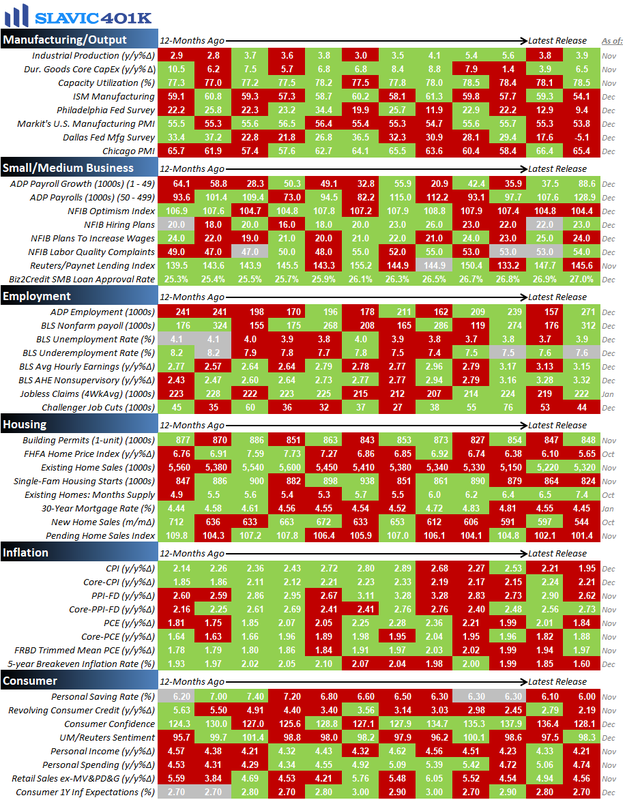 This week the pace of economic data picks up slightly, with a few important reports on manufacturing, housing, inflation, and consumer spending scheduled to be released. Several reports, though, may continue to be delayed as a result of the ongoing government shutdown.